Greece will exhaust every possibility to accommodate the wave of Russian tourists, and from now on will issue visas three and five years for those Russian citizens are entitled, assured the head of the Federal Tourism Agency of Russia Oleg Safanof the Greek Deputy Foreign Minister Nikos Xidakis. Indicative of this change is that in May the Greek consular authorities in Russia, issued, according to Mr. Xidakis, 90,000 visas, much more than the same month last year. During the meeting Mr. Xidakis with Mr. Safanof in Moscow, announced the Foreign Ministry confirmed that both sides will have full cooperation by both sides in the tourism sector and the Russian tourism, was agreed, to be supported by Greece. Also, the two sides agreed to cooperate on communication and information matters to the public, with joint press conferences for the fullest possible information of Russian citizens. In this light, Mr. Xidakis stressed the full aid to the project by the Greek consular authorities and gave a commitment that will continue even more intensively in the same direction until the end of summer. 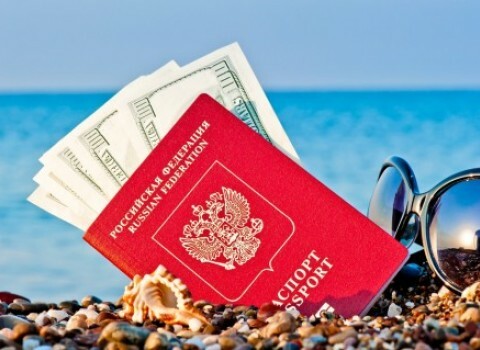 At the time the Russian citizen submit the application and supporting documents, the visa will be issued as soon as possible in order not to exceed seven working days, stated Deputy Foreign Minister and added that any increase of tourist traffic from a people who love Greece and its culture it’s profit for the country and the national economy. After the meeting and completing his three-day visit to the Russian capital, Mr. Xidakis met with Russian media, and Greek correspondents informing about the findings of the trip and reiterated the intention of the Greek government to continue working systematically to the Greek-Russian cooperation to bring the best results for both sides.